Seattle Sounders are ninth on the table in West group with 17 points in the 16 games they have played till now, five points below SJ Earthquakes and above on goal difference from Houston Dynamo whereas LA Galaxy are fourth on the table with 26 points in the 17 games they have played, two points below Real Salt Lake and one point above Sporting KC. 10th July 2016 at 00:30 (IST). CenturyLink Fields, Seattle, United States of America. 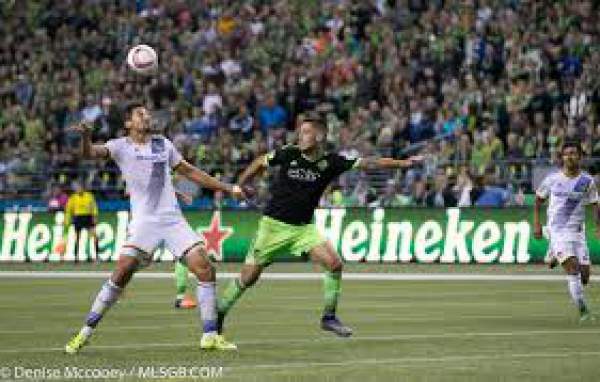 Seattle Sounders are ninth on the table as they have won five games, drew two and lost nine out of the 16 games they have played, scoring 14 and conceding 20 goals in total. Throughout their season they have had an average possession of 53% with a pass accuracy of 82%. They have received 19 yellow cards and one red card till now; they have had 163 shots on goal out of which 14 have gone in with an accuracy of 44%. Let us look at their defensive stats; they have made 255 tackles out of which they have won 189 and have done 234 clearances, and 50 blocked shots. Jordan Moris is their top scorer with 6 goals till now, and Andreas Ivanschitz is their top assister with three assists till now. They have won one game, drew two and lost two in their last five games in the league, they won against DC United by 0-2, drew against Toronto FC by 1-1 and lost to NY Red Bulls by 0-2 and against New York City by 0-2. LA Galaxy is fourth with 26 points as they have won six, drew eight and lost three, scoring 30 and conceding 18 goals in total. With an average possession of 53%, they have had a pass accuracy of 79%. They have scored 30 goals in total out of 151 shots with an accuracy of 50%. In their last five games they have won one, drew three and lost one, they have won against Whitecaps FC by 2-0 and lost to Toronto FC by 1-0. Alonso, Frei, Jones, Marshall, Mears, Scott, Friberg, Rodman, Ivanschitz, Morris, Kovar. De Jong, Rowe, Delagarza, Romney, Steres, Leonardo, Zardes, Gerrard, Larentowicz, Dos Santos,, Keane.